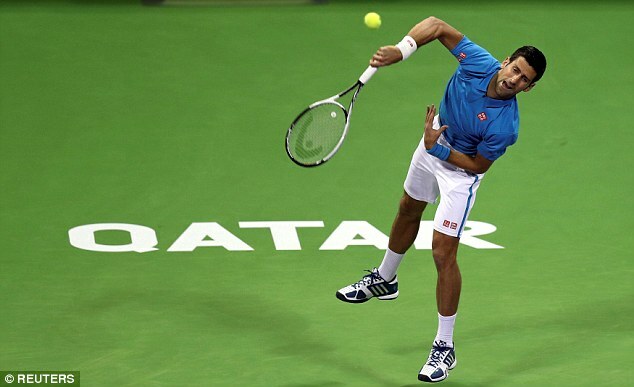 Defending champion Novak Djokovic recovered from a dreadful start to his 2017 season to beat Jan-Lennard Struff in the opening round of the Qatar Open. 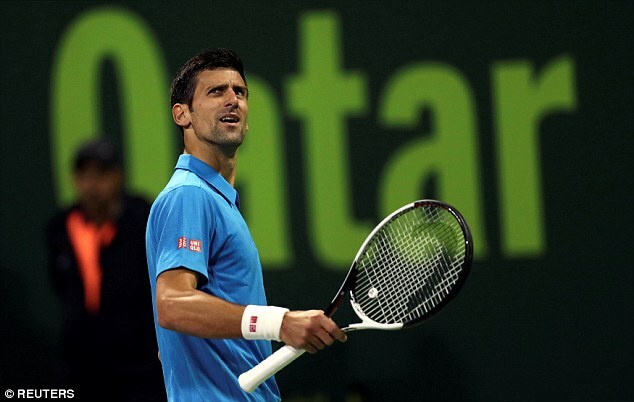 All eyes were on the world No 2 following his slump during the second half of last year and subsequent split from coach Boris Becker. And the early signs were far from positive for Djokovic, who looked very rusty as 63rd-ranked Struff won the opening four games. 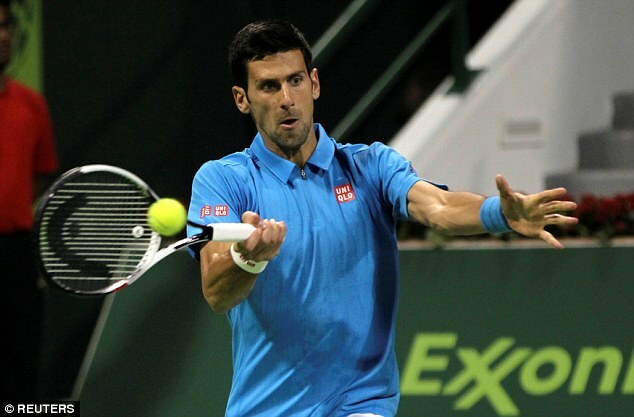 The German twice served for the first set, but, from 1-5, Djokovic won five games in a row and from then on was in control as he recorded a 7-6 (7/1) 6-3 victory. The Serbian, who next faces Horacio Zeballos, said on the ATP World Tour’s official website: ‘It’s (the) first match of the year. You never know how you’re going to start. ‘As well as you have trained in the preparation period and the days prior to the tournament, (it) really is different when it’s competitive play, when you start the official match and the crowd is there. ‘It changes things mentally. I was a bit flat on my feet, but I stayed composed because I knew, I believed that I could find the rhythm, start reading his serve better, and that’s what happened. Fourth seed David Goffin is also through after a 7-6 (7/4) 6-2 win over Robin Haase, but eighth seed Marcos Baghdatis lost to the evergreen Radek Stepanek. World No 1 Andy Murray lost in doubles on Monday and will open his singles campaign on Tuesday against France’s Jeremy Chardy. Rafael Nadal, meanwhile, makes his comeback from wrist problems that dogged him in 2016 at the Brisbane International against Alexandr Dolgopolov. 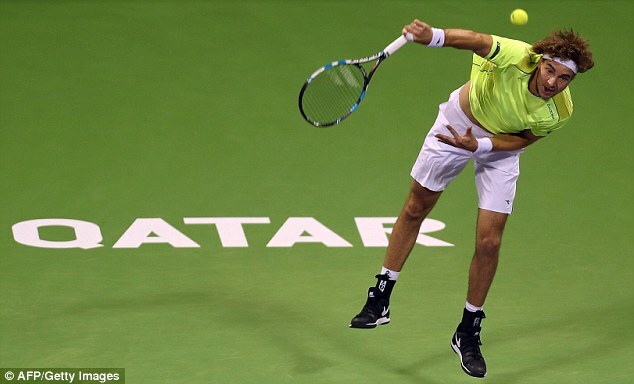 In Australia on Monday there were first-round wins for Grigor Dimitrov and David Ferrer. Seventh seed Dimitrov defeated Steve Johnson of the US 6-2 6-3, while eighth seed Ferrer was a 6-3 7-5 winner over Australian Bernard Tomic. Borna Coric missed the Davis Cup final after failing to recover quickly enough from knee surgery and the Croatian sixth seed was beaten in his first match since September, losing 6-3 7-5 to South Korea’s Chung Hyeon in the opening round of the Chennai Open.